Midwife, M. Joanne Bevers, moved down to Florida when The Blizzard of ‘78 hit the Boston area. She came from 5 feet of snow to white sandy beaches and since then, has never looked back! Bevers grew up in the small New England town of Chelmsford Massachusetts. Her passion for health care began at an early age, when her brother Douglas was five years old. He was admitted to the Boston Children’s Hospital for cardiac issues. For Bevers, doctors and nurses were very intriguing and hospitals were a wonderful world where “miracles happened.” This is when she first decided to go into the healthcare profession. Even today, Bevers still has that feeling of awe when she goes into a hospital and watches the beauty of a well­ trained staff doing what they do best. After finishing nursing school, Bevers worked as a labor and delivery nurse at Manatee Memorial. She was passionate about becoming a nurse-midwife from the first time she saw a midwife-attended birth. She knew she wanted to go further in the field of nursing and obstetrics. That set in motion her desire to further her education, leading to her bachelor degree in nursing from University of South Florida and then her masters degree in nursing from Case Western Reserve University in Ohio. In 1995, Bevers was granted the opportunity to be apart of the Migrant Fellowship Program. She worked with the migrant population in the Fort Myers area, which was a rich and rewarding experience. When Lakewood Ranch Medical Center opened in 2004, Bevers worked at both Sarasota Memorial Hospital and Lakewood Ranch Medical Center. A couple of years after that, Bevers spoke with Dr. Alvarez, and asked him and Jennifer McCullen to consider allowing her to join their practice, OB-GYN Women’s Centre of Lakewood Ranch. She was thrilled when they offered her a position and in March of 2006, she joined OB-GYN Women’s Centre of Lakewood Ranch! In her spare time, Bevers enjoys spending time with her family and exercising. But one her favorite things to do is compete her miniature pinscher Barclay in agility. Barclay is quite the agile pup and has won many competitions. 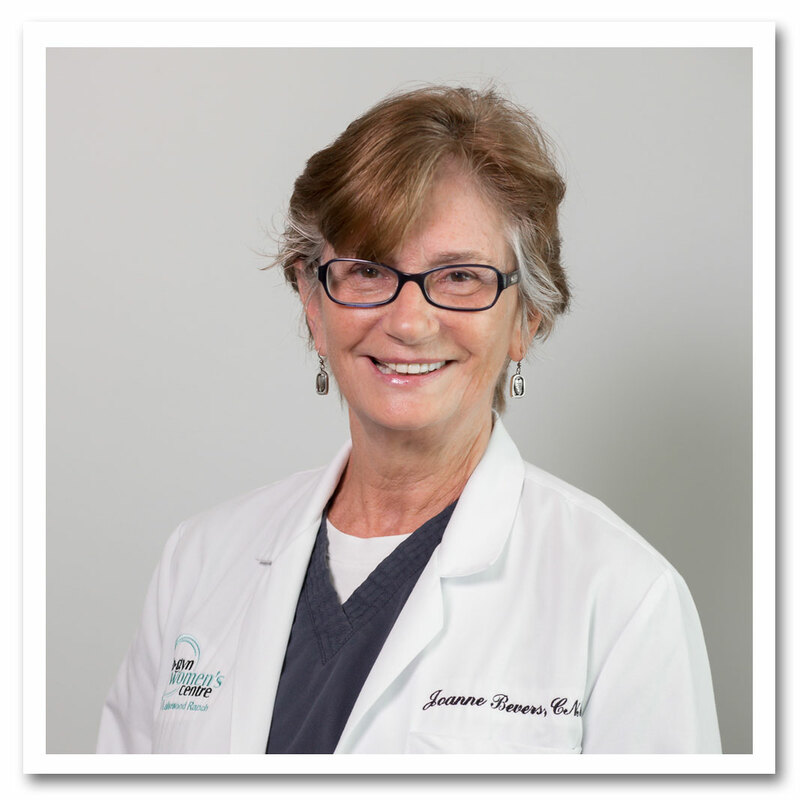 To schedule your appointment with Joanne Bevers, visit our patient request form, or give us a call at (941) 254-2717. We can’t wait to hear from you!